I have read the Bible sufficiently closely long enough to detect some recurring patterns. Among them is this one: persistent societal sin in Israel or Judah (in a particular circumstance or pericope) leads to consequences of actions—an exile, for example. 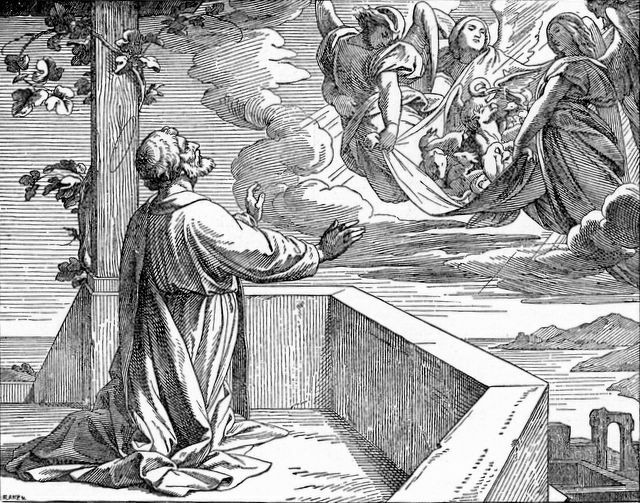 The prophet Joel interpreted locusts as instruments of divine wrath. After a while, though, divine pity and mercy take center stage. This pattern repeats in Joel and Ezekiel—less cryptically in the former than in the latter. No nation—Hebrew or Gentile—may mock God persistently without facing consequences, Joel and Ezekiel say, but the same deity who judges also extends great mercy to the chosen people. Their status as chosen does not protect them from the consequences of their actions, but a remnant will survive. That was one way of making sense of suffering. St. Paul the Apostle, in Romans 8, offered a complementary one. His live after his conversion was one filled with suffering—imprisonments, beatings, et cetera. His experience was one with which many of his contemporaries identified. Many Christians today identify with it, in fact. For I reckon that the sufferings we now endure bear no comparison with the glory, as yet unrealized, which is in store for us. In the meantime, God, in the form of the Holy Spirit, abides with us. We might not even know how to pray, but that does not constitute an impediment between God and us. All this might feel like “hurry up and wait,” a situation which leads to understandable and predictable frustration and impatience. I resemble that remark, in fact. But at least God is with us. That is wonderful news. May we think and act accordingly. Thus said the Lord GOD: Let no alien, uncircumcised in spirit and flesh, enter My Sanctuary–no alien whatsoever among the people of Israel. There can be neither Jew nor Greek, there can be neither slave nor freeman, there can be neither male nor female–for you are all one in Christ Jesus. And simply by being Christ’s, you are that progeny of Abraham, the heirs named in the promise. The bulk of the assigned reading from Ezekiel condemns the corrupt and idolatrous priesthood. Idolatry is always worth condemning, but another part of that lesson attracted my attention. Foreigners were excluded from parts of the rebuilt Temple. A note in The Jewish Study Bible referred me to a different perspective in Isaiah 56:3-8; I have quoted part of that passage in this post. In that reading a foreigner who lives according to the covenant of God is to be welcomed at the Temple. I have quoted other texts of inclusion in God (especially via Jesus) in this part. If you, O reader, think of them as refutation of Ezekiel 44:9, you understand my meaning correctly. 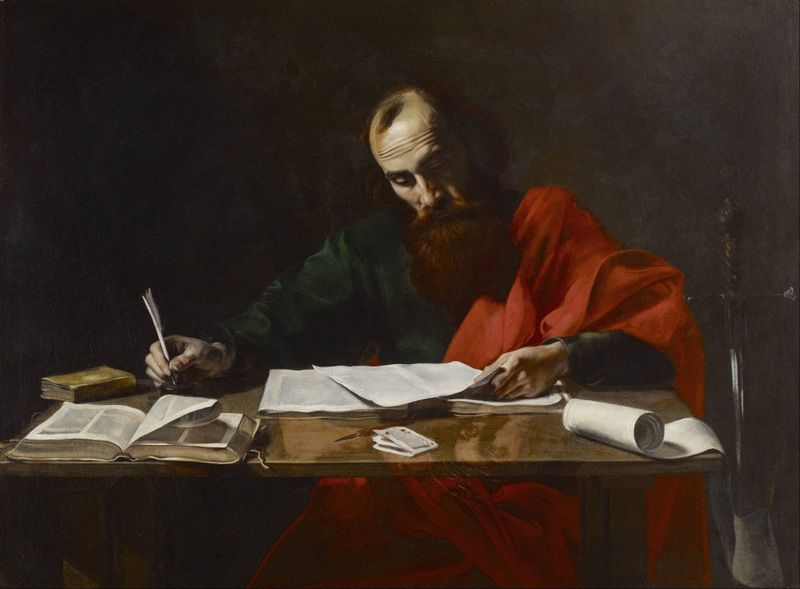 Paul, a Jew, was a great apostle to the Gentiles. As a Gentile, I am grateful to him. He, Simon Peter (to a different extent) and others saw past boundaries such as national origin and ethnicity. This position caused controversy in earliest Christianity, as history and the Bible tell us. Exclusion helps define borders and thereby to help us know who we are; We are not those people over there. This is a negative identification. Yes, there are human and theological differences, some of them important. But more vital is the love of God for everyone. And we who claim to follow God ought to seek to express that love to others, regardless of a host of differences. Each of us is foreign to someone; may we remember that.